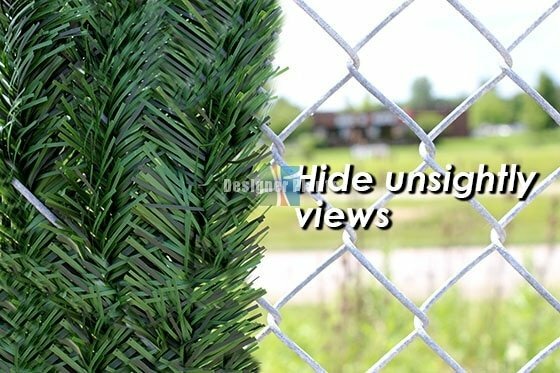 Designer Plants has been leading the industry with innovative, high quality artificial hedges and plants for many years. 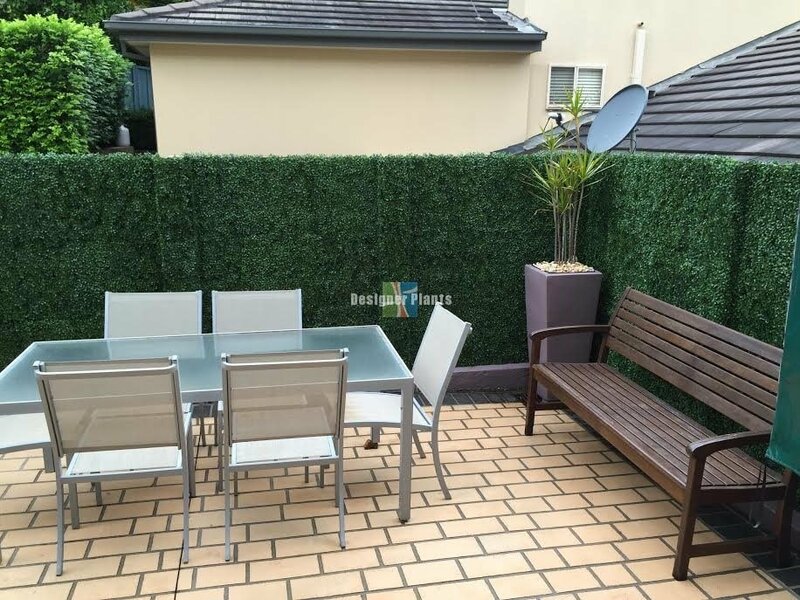 Our aim is to make transforming your home or property easier with products that involve no planting, cultivating, toxic chemicals, fertiliser, watering, weeding, pesticides, maintenance, trimming, or endless expenses – artificial hedges, fake plants, and vertical garden screens are the solution! It all started back in the 2000’s. Water restrictions arrived, apartments were being built en-mass and privacy was becoming ever so important. Help homeowners, renters, and commercial properties to regain their privacy. Over the coming years we got hundreds of samples; most broke up, faded, and started melting in the sun, this wasn’t going to do (some suppliers in Australia sell these though, naughty!). Eventually, we found the right product, and the best manufacturers to partner with. We developed, designed and manipulated the product to make it perfect. We then tested it in 2006 on our own property to make sure it was right before ordering it and selling it to customers around Australia. The same product is still on the founder’s fence – quality is taken seriously here at Designer Plants. Sick of businesses that would be great at taking money, but not with assisting their clients, the values of Designer Plants were forged, exceptional customer service was key to everything we did – let us share with you a story; a customer called up late in the afternoon from Sydney and required artificial that evening – no courier was going to get it there in time. 3 hours later flights were booked, and our team were off with boxes full of fake hedging – Jet Star staff were gobsmacked as carton after carton was wheeled into their Avalaon Terminal – a couple of hours later – mission complete. Realism: having our ‘roots’ in the live plant industry, Designer Plants were going to be just that, Designer. Why pay for something if it isn’t going to do your home, office or business justice. We believe it is best to get it right the first time around. Have you ever been on your balcony and seen a neighbour looking over, or people walking past peeping through your fence? Well, we have – it’s frustrating. 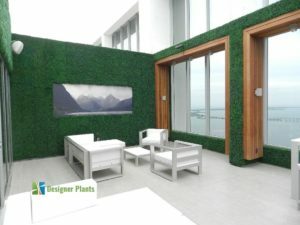 Our Design team has worked hard to develop our portable hedges and vertical gardens and green walls to be dense and easy to install so you can have privacy in minutes, without the need to get specialist trades-people involved. These days—there’s paperless news, wireless phones, stores without buildings, even cars that drive themselves. So we wondered, why make plants the same way they did back in ancient Mesopotamia? Designer Plants gives you an instant modernised landscape—with zero hassle. Get the same amazing “mother-nature” RESULTS—without the expense, hard work, fragility, and unpredictability of old-school methods. 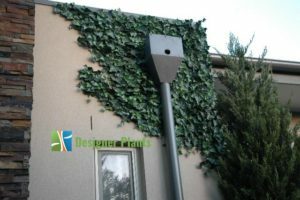 Whilst there are many artificial plant suppliers in Melbourne and Australia, Designer Plants are the only company that focuses on artificial hedges and artificial plants for vertical surfaces. This allows us to ensure that we deliver high quality, using a specific product that is able to stand up to the harsh environmental elements. We specialise in delivering a large range of high quality products each and every time. Don’t be tricked into using artificial plants, hedges and panels that will crack, fade and fall apart, at Designer Plants we invest only in quality. Contact us on 1800-617-341 or find more options here. 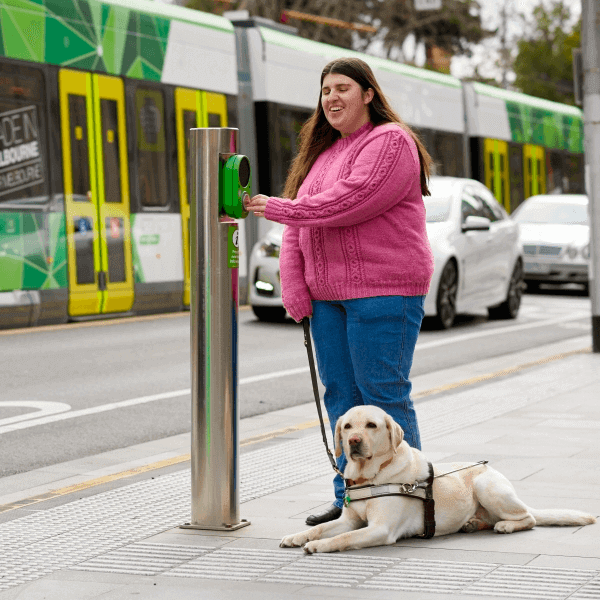 We are proud to support Guide Dogs Victoria. You can make a personal donation when you shop online. We believe in this important cause and the great work this organisation does for those who have low vision or are blind in our community. Designer Plants thank you for your continued support. We too will make contributions and feature a donation box at our Melbourne showroom for customers to use as they view our range of green walls and artificial plants. As a business, from day one we wanted to create a realistic range of plants that didn’t hurt mother earth. Our planet is all we have. And our loved ones deserve to enjoy high quality greenery without a negative impact on their community or to future generations. That’s why our range is made from earth friendly materials. ROHS compliant and no harmful toxins and chemicals. We are also the only and first artificial greenery supplier in the world to offer 100% recyclable green walls and a recycling program. We are committed to sourcing more sustainable materials to make our artificial greeenery range. Because we believe designer should not come at a price to our planet.